NEXUS is a unique networking college event designed to showcase the innovative work of the College of Liberal Arts’ faculty, students, and community partners. The 2018-2019 theme is interdisciplinary and collaboration. Our primary goal is to represent the innovative research projects, teaching activities, and service partnerships of our twelve CLA departments. Our secondary goals are interdisciplinary exploration and community building. .Celebrating our extensive college partnerships, the symposium will kick off with not one but two special events and will wrap up with a third. 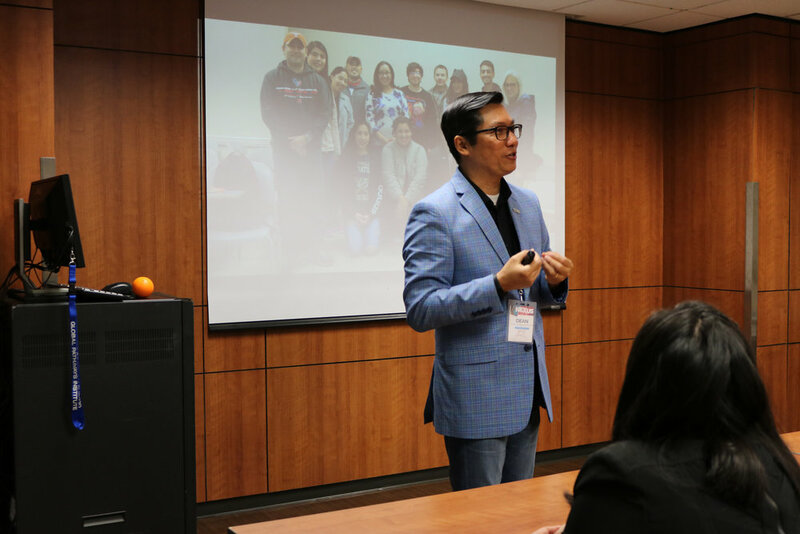 From April 2-4, we’ll host a variety of keynotes, panels, workshops, and development meetings at the Edinburg Campus Ballroom and adjacent meeting spaces. Faculty, students, and community partners will have a chance to explore the research, teaching, and service opportunities that make up the College of Liberal Arts in this symposium blend of conference, showcase, and recruitment fair. In recent years, building disaster resiliency have received attention from nations around the world. In US, building community resiliency has become a foundational concept for effectively managing disasters since the two Executive Orders were issued in 2013 and 2014. The role of emergency and disaster professionals has evolved toward building disaster-resilient communities. 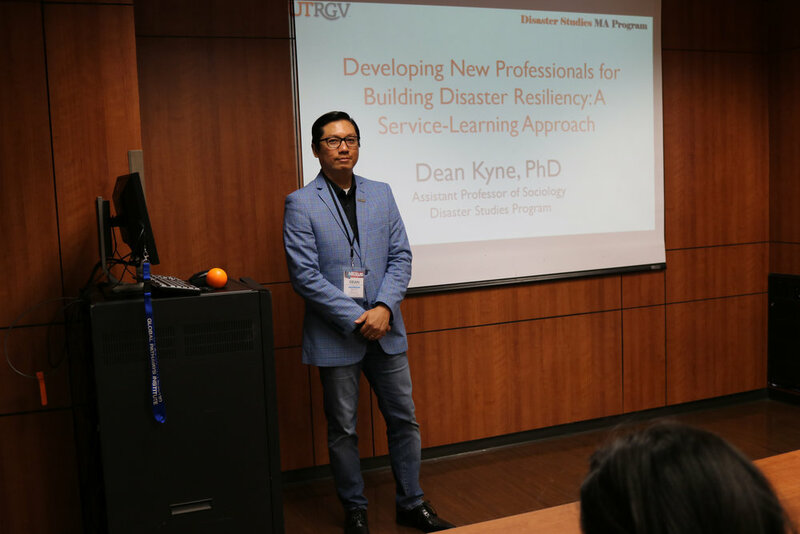 This study examines how new professionals, who will help community members build disaster resiliency could be developed using a service-learning approach in a graduate course, namely Disaster and Society which is offered in the Disaster Studies MA program in the College of Liberal Arts, the University of Texas Rio Grande Valley. Does Social Capital Enhance Preparedness in Building Disaster Resiliency? Social capital, which is viewed as a resource embedded in a community, has received attention from many researchers for its important role in managing disasters. There are a growing number of studies that examine the possible relationship between social capital and disaster preparedness. This study examines three important aspects of social capital: disaster preparedness, the confidence to respond to a disaster event in the first 72 hours, and the dependence on the first responders. The study focuses on the Rio Grande Valley, which constitutes four counties; two of them located in the coastal regions. First, the study measures the social capital as a latent variable in three domains, namely bonding, bridging, and linking. 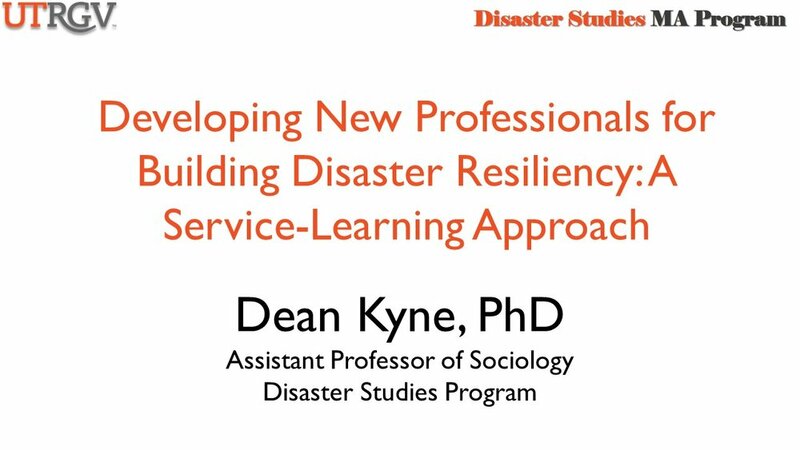 Next, the study investigates any associations between the domains of social capital and disaster preparedness. 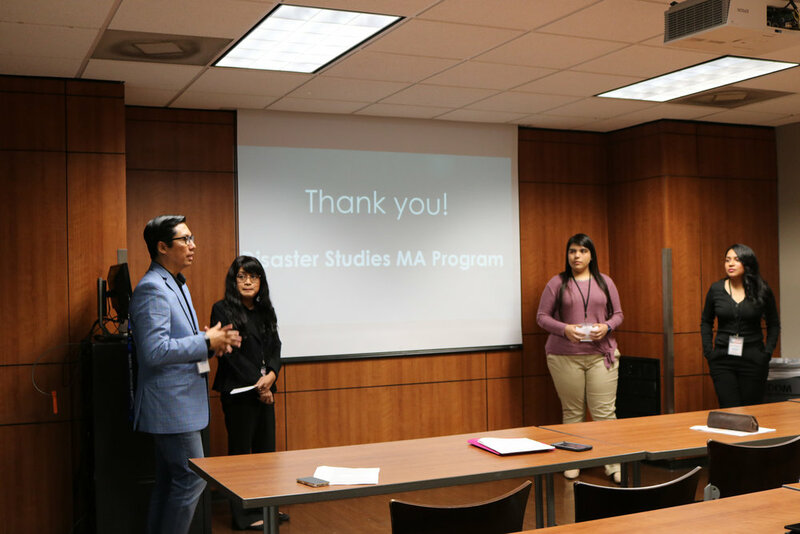 Then, it also examines any relationship between disaster preparedness and confidence to response to a disaster event. Finally, this study investigates the relationship between confidence to respond and reliance on first responders. This study employs an online survey instrument to collect information from individuals who live in the study area. A structural equation modelling method is used to investigate the hypothesized relationships among the study variables. The study’s findings reveal that bridging and linking show statistically significant association with disaster preparedness. In addition, there exists a statistically significant association between disaster preparedness and confidence in responding during the first 72 hours after a disaster event takes place. In the climate change era, natural disasters have become more frequent with higher intensity and greater costs. Learning from the recent disasters, we could not continue with our current reactive approach which focuses on response and recovery activities. To cope with the new level and scale of the future disasters, it is imperative to build disaster resiliency with a balanced act on four phases of disaster management, namely mitigation, preparedness, response and recovery. This study proposes a conceptual framework of drivers of disaster preparedness (DDP) to empirically validate the hypothesized associations among study variables. An online survey instrument was utilized in order to collect disaster preparedness information from individuals who reside in the Rio Grande Valley. A structural equation modelling method was used to statistically validate the associations. Findings reveal that familiarity with hazards, participating in the preparedness training, having access to preparedness information, and possessing a mobile phone with an internet access are positively associated with the individual disaster preparedness, which is also positively associated with the confidence to respond after a disaster event takes place.